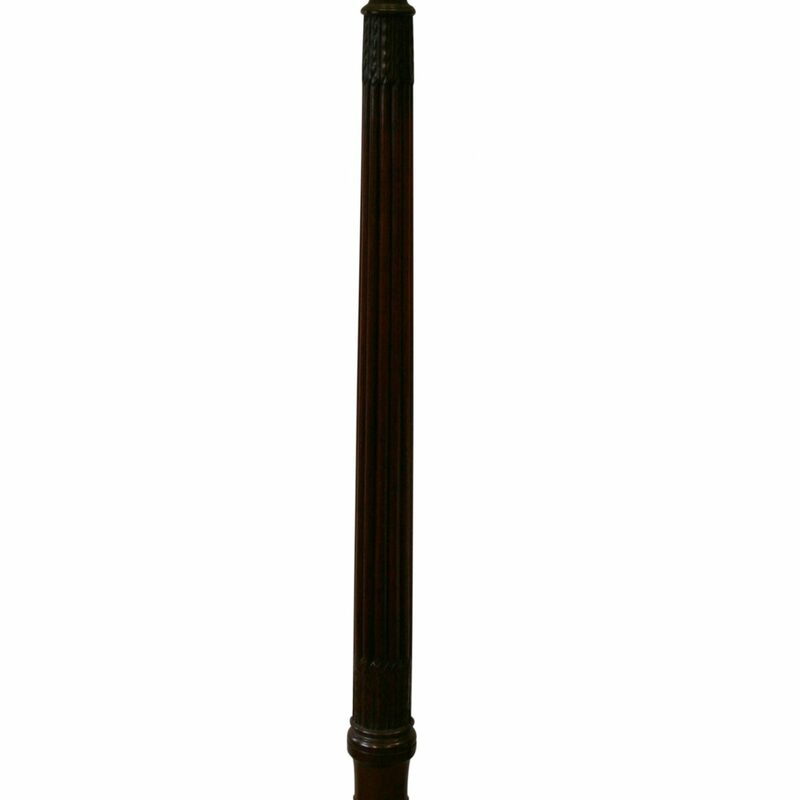 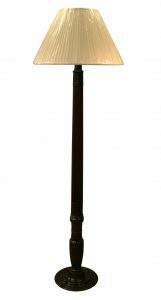 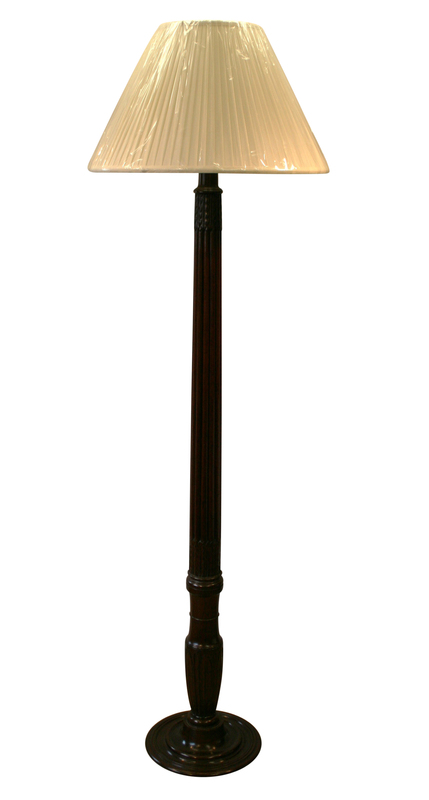 A mahogany standard lamp. 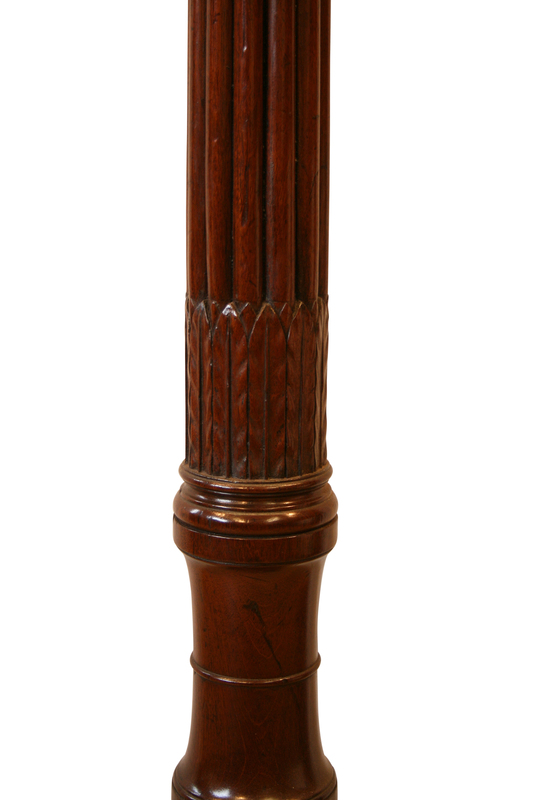 The lamp column was originally one of a pair of show posts from a four poster bed. 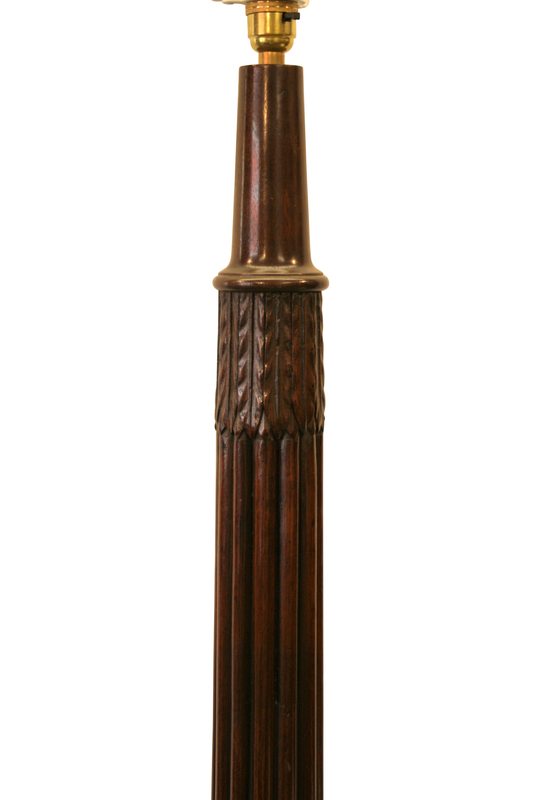 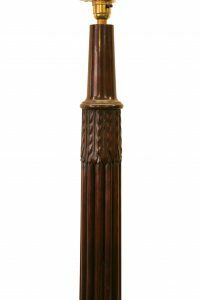 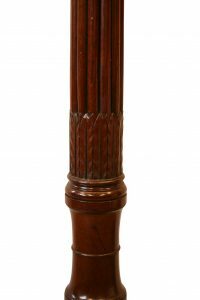 The column is turned, reeded and carved. 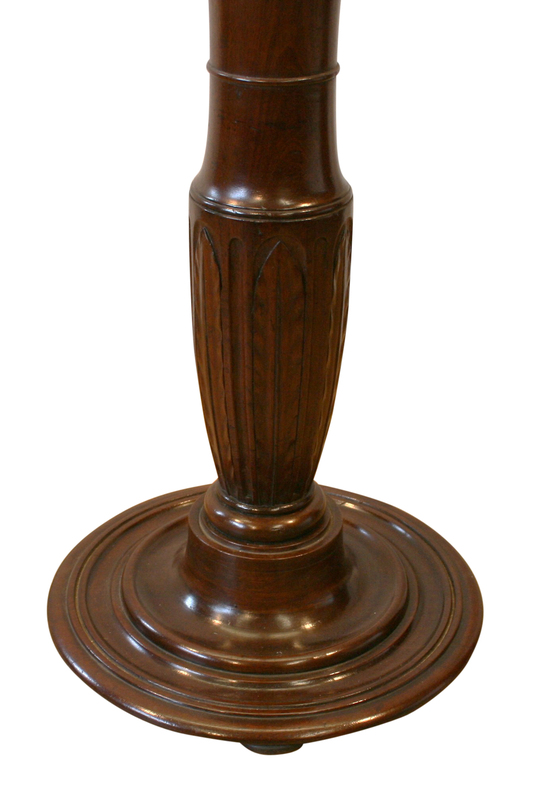 It is supported on a turned base.